The majority of small businesses generate more than half of their annual revenue from repeat customers. 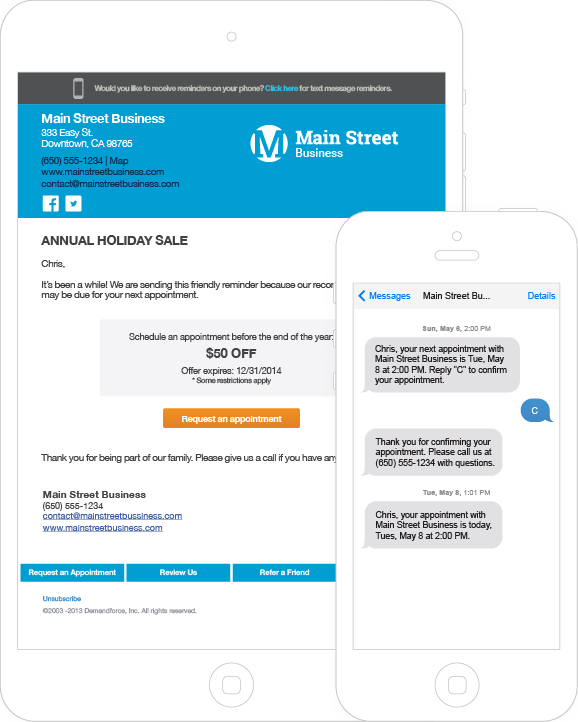 Automated marketing can help keep your clients coming back for more. That old adage applies to your marketing communications. 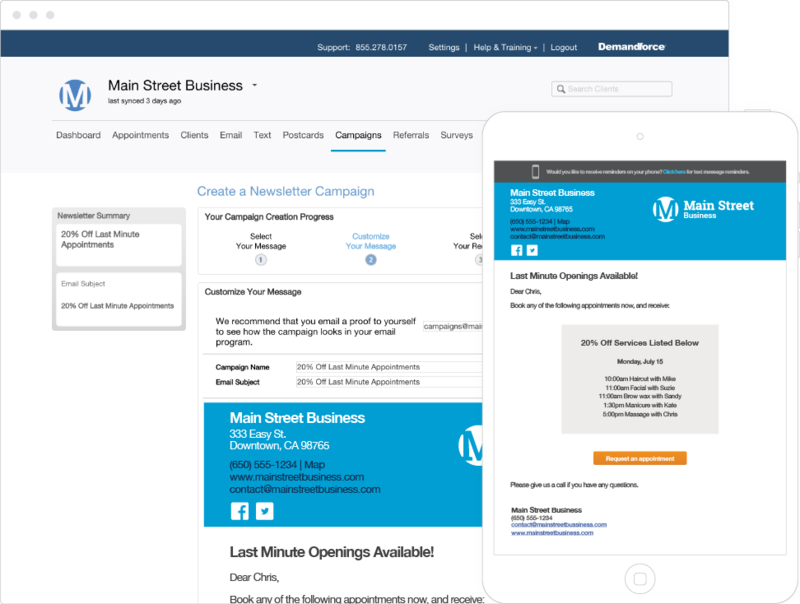 Our marketing automation tools make it possible to reach out to clients when they’re due for routine and recommended services. It costs anywhere from 5 to 25 times less to retain an existing client than to acquire a new one. 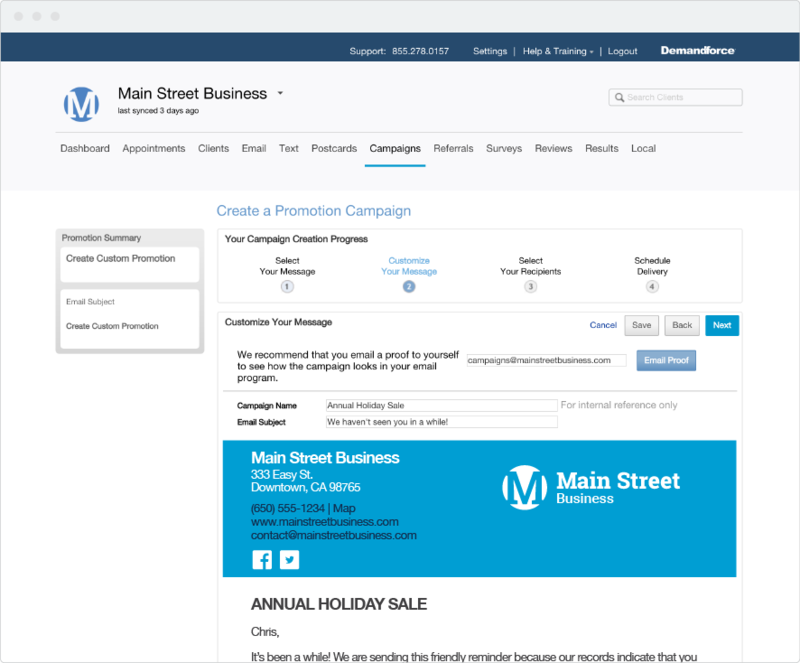 Our pre-built, professional email marketing templates can help you bring back current clients for routine care and recommended services, and even reactive lost clients who are long overdue for their next visit. Reach all of your clients — even the ones that don’t have email addresses — with professional postcards. 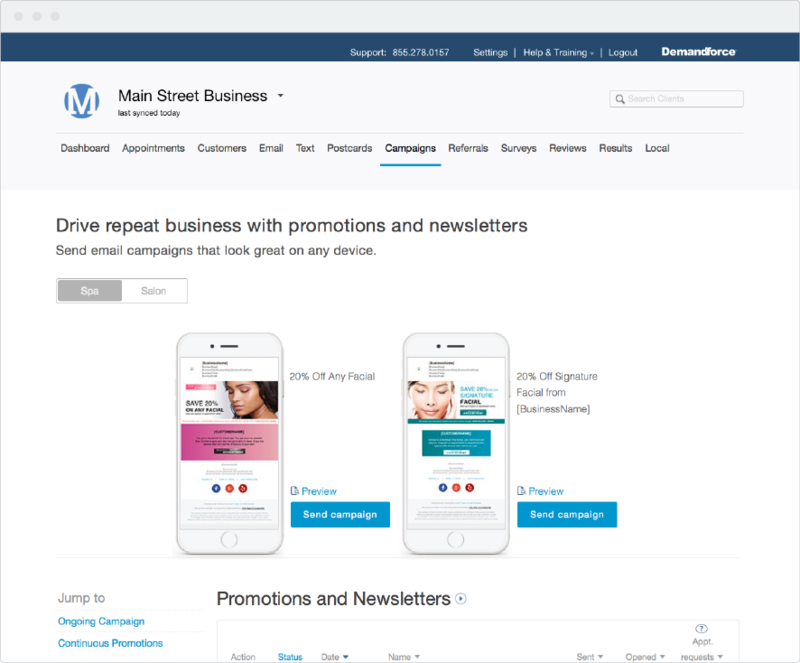 Stay top-of-mind and engage your clients between visits with an email newsletter professionally designed specifically for your type of business. Our email newsletter service is updated regularly with relevant promotions and seasonal content, all ready-to-send with a click of a button. And with over half of all email now opened on a mobile device, we make sure every email newsletter looks great on phones and tablets. Email marketing is one of the most cost-effective ways to reach your clients, assuming you have their email addresses. Our email finder can fill in the blanks.